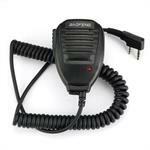 PTT-BK: Push-to-Talk Speaker microphone for Kenwood, Baofeng, Pofung radios etc. PTT-BK: Push-to-talk speaker Microphone - fits Kenwood, Baofeng, Pofung, Wouxun, TYT, Puxing radios, etc. Has heavy-duty coiled cord, locking swivel clasp, and . 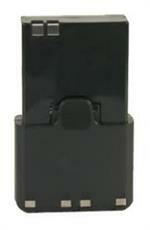 BT-10 : 6 x AA cell battery case for KENWOOD TH-235A, TH-235E radios (all worldwide versions). This is a KENWOOD factory-brand product. WC-PB18: Overnight Wall Charger for PB-18xe battery. Input 110-120VAC; output 9v @ 200mAh. Plugs directly into DC jack on side of battery, and re-charges it fully in 14 hours. PB-32: 6.0volt 600mAh rechargeable Ni-Cd battery pack for Kenwood radios. Fits TH-22A/AT/E, TH-42A/AT/E, TH-79A/AT/E, TH-79AKSS radios, etc. Replaces the original PB-32. Can be slow-charged or fast-charged. 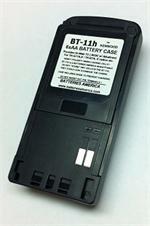 BT-11h: Alkaline Battery Case for KENWOOD TH-G71, TH-G71A, TH-G71E, TH-D7, TH-D7A, TH-D7E, etc. Holds 6 x AA batteries. Replaces / upgrades BT-11. PB-10: NEW ITEM! 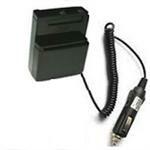 7.2 volt 1100mAh rechargeable Ni-MH battery for Kenwood radios. Fits TH-25, TH-26, TH-45, TH-46, TH-75, TH-77, TK240, TK340, TK320 etc (worldwide versions). Replaces original model #s PB-6, PB-7, PB-8, PB-9, PB-10, KNB-10, KNB-5 etc. PB-13 : 7.2v 1100mAh rechargeable Ni-Cd pack for KENWOOD radios (TH-28, TH-48, TH-78, etc). Out of stock. PB-13 : 7.2 volt 1100mAh long-life rechargeable Ni-Cd battery for KENWOOD radios (TH-27, TH-28, TH-47, TH-48, TH-78; all worldwide versions). Same length as original PB-13. Re-charges thru the radio, or in a desktop charger. CBE-K37 : Battery Eliminator for KENWOOD TH-235A, TH-235E radios. Enables high-watt operation from a 12-13.8VDC socket. EXCLUSIVE from BATTERIES AMERICA. PB-34: 9.6v 600mAh Ni-Cd battery pack for Kenwood radios - SALE ! 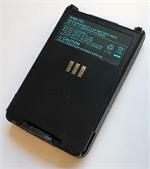 PB-34: 9.6 volt 600mAh Ni-Cad battery pack for KENWOOD radios, such as TH-22A/E, TH-42A/E, TH-79A/AD/AKSS etc. Specs: 9.6 volt 600mAh Ni-Cd. Provides High-Watt TX power to the radio. 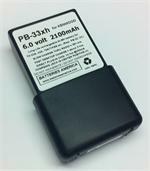 PB-32xh: 6.0volt 1200mAh rechargeable Long-life NiMH battery pack for Kenwood radios. Fits TH-22A/AT/E, TH-42A/AT/E, TH-79A/AT/E, TH-79AKSS radios, etc. Replaces the original PB-32. PB-13x : 7.2 volt 1500mAh rechargeable Ni-MH battery for KENWOOD TH-28, TH-48, TH-78 etc (worldwide models). OUT OF STOCK. PB-13x : 7.2 volt 1500mAh Long life rechargeable Ni-MH battery for KENWOOD radios (TH-27, TH-28, TH-47, TH-48, TH-78 etc). Replaces & upgrades original PB-13. KNB-63Li: 7.4 volt 1130mAh rechargeable Li-ION battery for Kenwood radios. Fits TH-K20A, TH-K20E, TH-K40E, TK-2000E, TK-2000M, TK-2000T, TK-3000E, TK-3000M, TK-3000M2, TK-3000T, TK-U100. Re-charges with original charger or with our EMS-K63. PB-6x: 7.2 volt 1600mAh LONG LIFE rechargeable Ni-MH battery for Kenwood HTs. Replaces PB-6, PB-10, KNB-5, KNB-10 etc. Fits TH-25, TH-26, TH-45, TH-46, TH-75, TH-77, TK240, TK340, etc (worldwide versions). PB-43h : 7.2volt 1650mAh rechargeable NiMH LONG LIFE battery for the Kenwood TH-K2AT radio. Clips onto back of radio; charges in desktop charger OR thru the radio. PB-17x: 12 volt 1300mAh rechargeable Ni-MH battery for KENWOOD radios. Fits models such as the TH-78A, TH-78E, TH-48A, TH-48E, TH-28A, TH-28E, TH-27A, TH-27E, etc. Replaces PB-13, PB-14, PB-17, PB-18, etc. PB-33xs : NEW 6.0v 2500mAh LONG LIFE rechargeable NiMH battery for Kenwood TH-22, TH-42, TH-79 radios. PB-38h : 7.2v 2000mAh LONG LIFE Ni-MH battery pack for KENWOOD TH-D7A, D7E, G71A, etc. PB-38h :7.2volt 2000mAh rechargeable Long-Life Ni-MH battery - for Kenwood radios such as TH-G71A, TH-G71E, TH-G71AK, TH-D7A, TH-D7G, TH-D7E, etc. REplaces PB-38N, PB-39N. Includes heavy-duty spring-loaded beltclip. 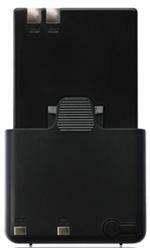 PB-39N: 9.6 volt 700mAh rechargeable Ni-Cd Battery Pack for Kenwood handheld radios such as TH-D7A, TH-D7E, TH-G71A, TH-G71E. Includes heavy-duty spring-loaded belt clip. Can be slow-charged or fast-charged. 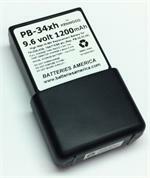 PB-33xh : 6.0 volt 2100mAh Long Life rechargeable Ni-MH battery pack for Kenwood radios. Fits TH-79A/E, TH-22A/E, TH-42A/E, TH-79AKSS, etc. PB-18xe : 7.2volt 2000mAh PRE-CHARGED eneloop Ni-MH battery for KENWOOD TH-27, TH-28, TH-47, TH-48, TH-78, TH-78A etc. (all worldwide versions). PB-6xe: NEW ITEM! 7.2 volt 2000mAh READY-TO-USE eneloop Ni-MH battery for Kenwood radios. Fits TH-25, TH-26, TH-45, TH-46, TH-75, TH-77, TK240, TK340, etc (worldwide versions). Replaces original model #s PB-6, PB-7, PB-8, PB-9, KNB-10, KNB-5 etc. KNB-65Li: 7.4v 1800mAh Li-IONbattery for TH-K20A TK2000 TK3000 U100 etc. KNB-65Li: 7.4 volt 1800mAh long life rechargeable Li-ION battery for Kenwood redios. Fits TH-K20A, TH-K20E, TH-K40E, TK-2000E, TK-2000M, TK-2000T, TK-3000E, TK-3000M, TK-3000M2, TK-3000T, TK-U100. Re-charges with stock charger or with our EMS-K63. OUT OF STOCK. 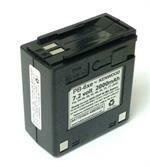 PB-45L: 7.4 volt 2000mAh Li-ION rechargeable battery for Kenwood TH-D72A, TH-D72E (worldwide versions). Replaces original PB-45, PB-45L. PB-42L : 7.4volt 2000mAh rechargeable Li-ION battery for Kenwood TH-F6A, TH-F7, etc. 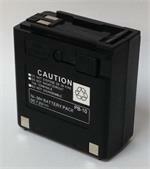 PB-42L : 7.4 volt 2000mAh rechargeable Li-ION battery for KENWOOD TH-F6A, TH-F6E, TH-F7. Replaces original PB-42L. Same physical size as the stock PB-42L. 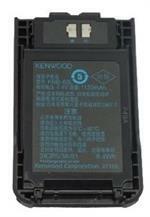 KNB-75L: 7.4v 2000mAh Li-ION battery for Kenwood TH-D74A, TH-D74E, etc. Replaces KNB-74L, KNB-75L. Re-Charges with Stock OEM equipment. PB-33xe: 6.0volt 2000mAh Eneloop READY-TO-USE NiMH battery for Kenwood TH-79A etc. PB-33xe: 6.0volt 2000mAh Eneloop READY-TO-USE NiMH battery for Kenwood TH-79A, TH-22A, TH-42A etc (worldwide versions). EXCLUSIVE ITEM. Arrives to you PRE-CHARGED & READY TO USE.